Chances are that between holiday gifts and clearance sales, someone in your household has brought home a fragile new toy that involved bulky foam packaging. 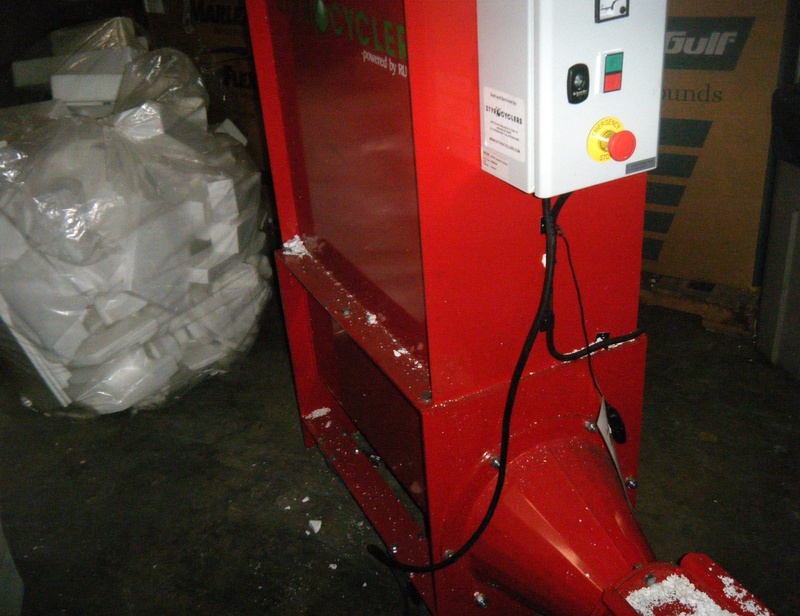 Did you know that it no longer has to sit forever in your basement or the landfill? 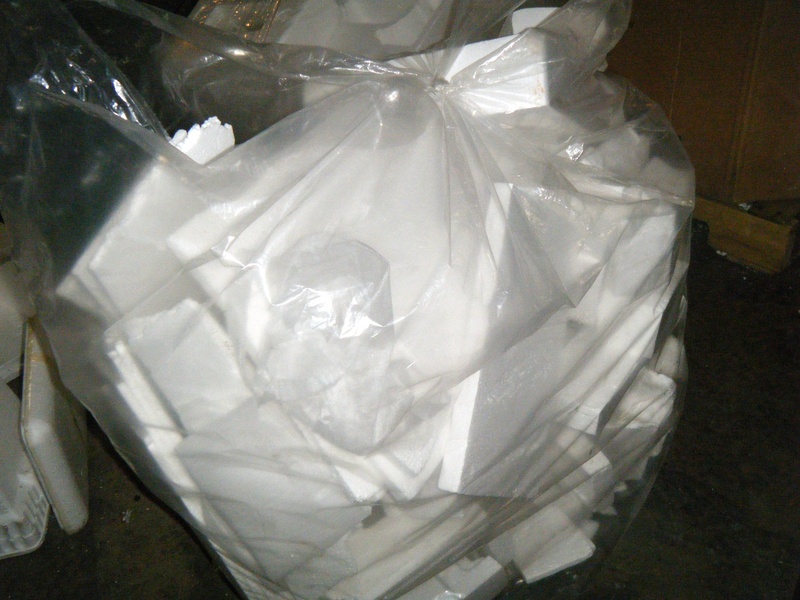 Perhaps someone in your area offers recycling services now for expandable polystyrene. Today I visited the warehouse where the Knoxville Recycling Coalition is turning this voluminous trash into a commodity. For five dollars, I was able to purchase a 100-gallon plastic bag that I can take home and fill with our household’s leftover foam. When I return it later, looking more like this, a capable crew will be ready to condense it into a log that is 1/40th of its original volume. This nonprofit group in East Tennessee is using a small machine from the Georgia-based Styrocyclers company to create the foam logs. Operations manager Micha Reynolds says that since the group starting using the machine less than a year ago, they’ve processed about 500 pounds of foam. Executive Director Frank Sewell says the group first offered this service only to businesses. It has expanded to include any individual willing to return a bag to the Coalition’s office near downtown Knoxville. Sewell is proud that East Tennessee is doing more now to keep this material out of the landfills. The five-dollar fee helps cover some costs. Sewell cautions that throwing things away is never truly free, and recycling is always a better choice. “For the benefits that you get, it costs a lot less than (going into) the garbage.” Foam recycling and other programs will be more accessible to the public than ever once the Coalition moves into its new office March 1st on the north end of Knoxville’s revitalized Gay Street. *You must see the #6 recycling symbol on the foam. *It must be clean and free of tape and labels. *You can recycle large packaging pieces, clean food containers and even cups. 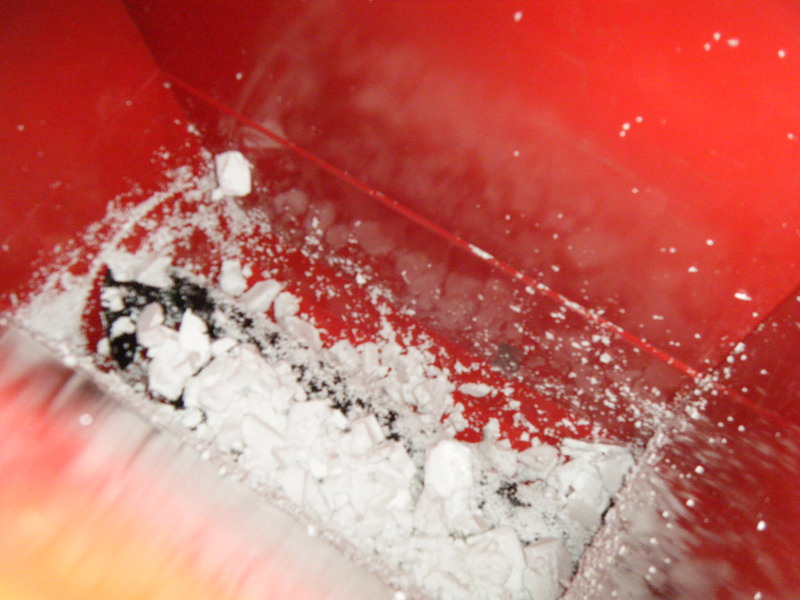 *No foam insulation (not as “clean” as this foam), no packing peanuts (some are now biodegradable and could contaminate the recycling stream), no drink straws or lids. When the owner of the Styrocyclers company, Larry Maletta, spoke with me today, he was clearly passionate about the many uses for the expandable polystyrene product. He says the biggest obstacle that he wants to overcome is that, “People don’t know that it’s recyclable. 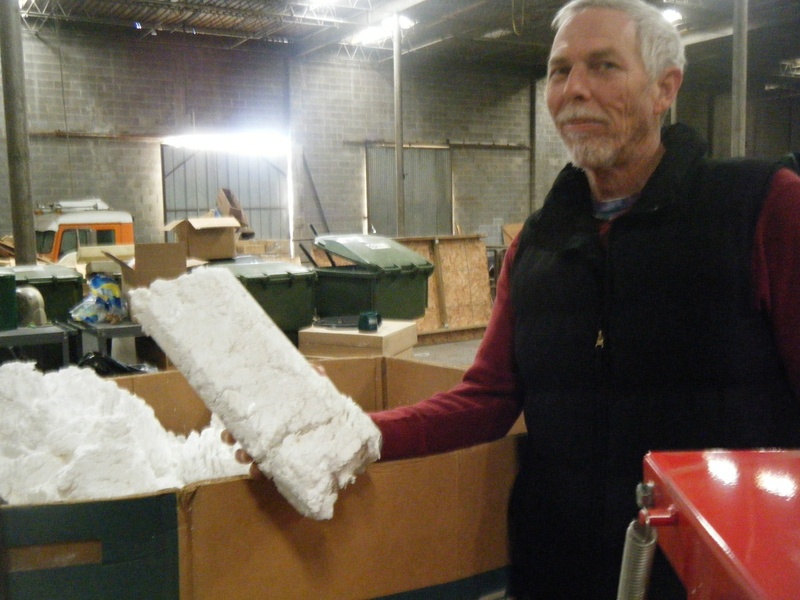 It’s 100% recyclable.” Maletta is involved with the Alliance of Foam Packaging Recyclers, and he pointed out that via the industry site you can find out where and how to recycle foam in your area. You may even choose a mail-in program. 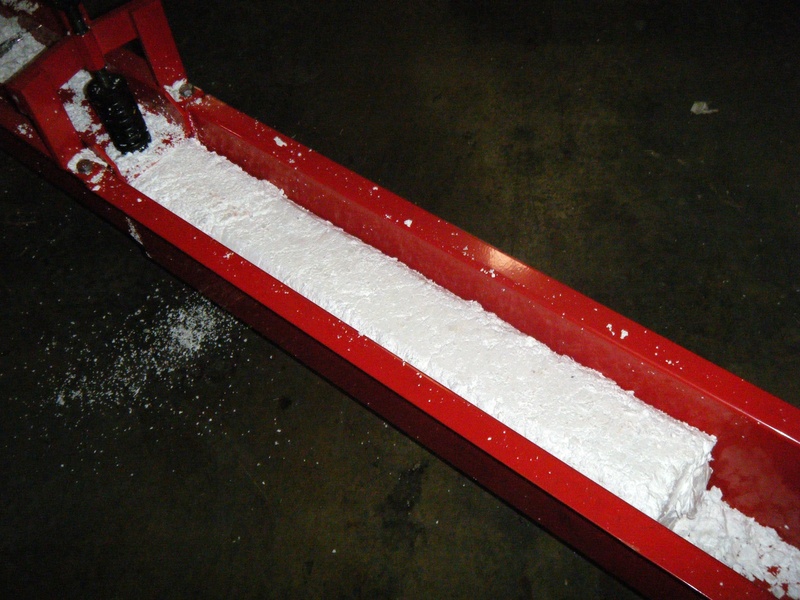 The Knoxville group is still in the process of finding a market for its condensed foam logs. However, it is confident that the logs will eventually go into making other products that you might find at the store, such as cd cases, picture frames, plastic hangers, or new packaging.